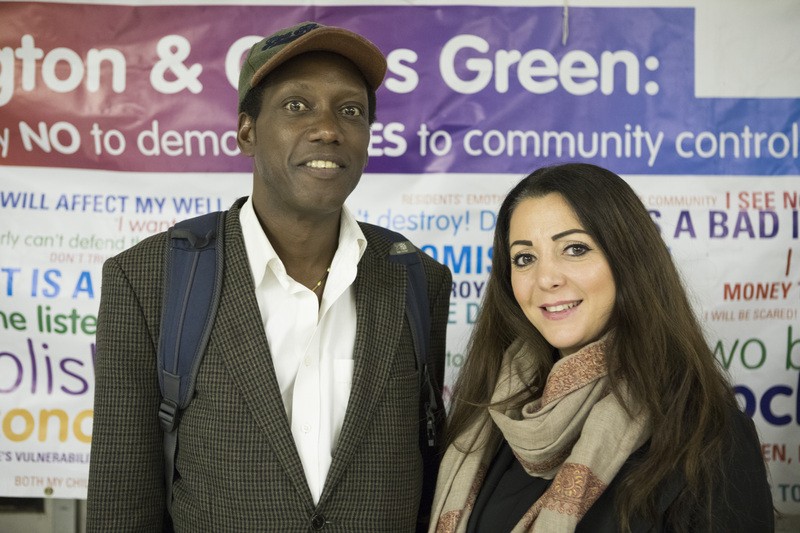 On 3 October 2017, 75 people, of whom 67 were residents, attended the West Kensington Estate and Gibbs Green TRAs and West Ken Gibbs Green Community Homes Annual General Meetings in the Gibbs Green Hall. 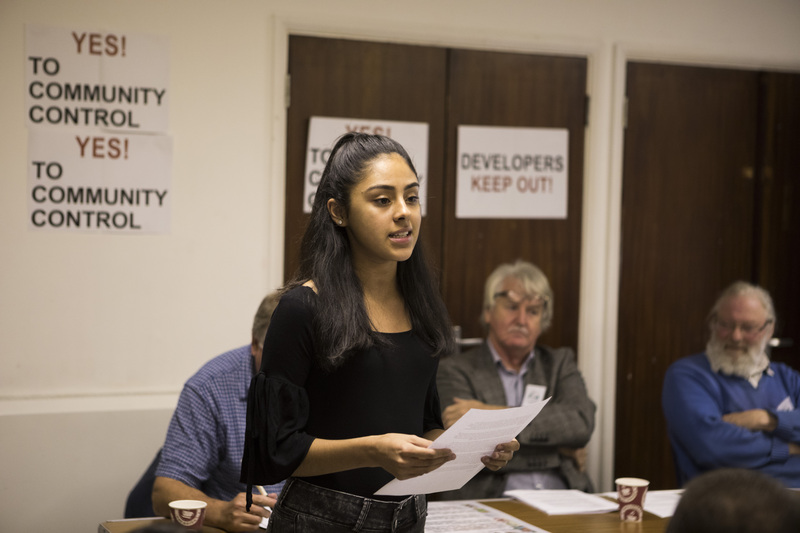 Ana-Maria explained that she was now 15 years old, but that when she was nine, she had written a letter to the Council protesting against demolition. As was featured on our website at the time, she presented her letter to the Council at the so-called consultation held in March 2012, which had to be called off following a mass protest by residents. 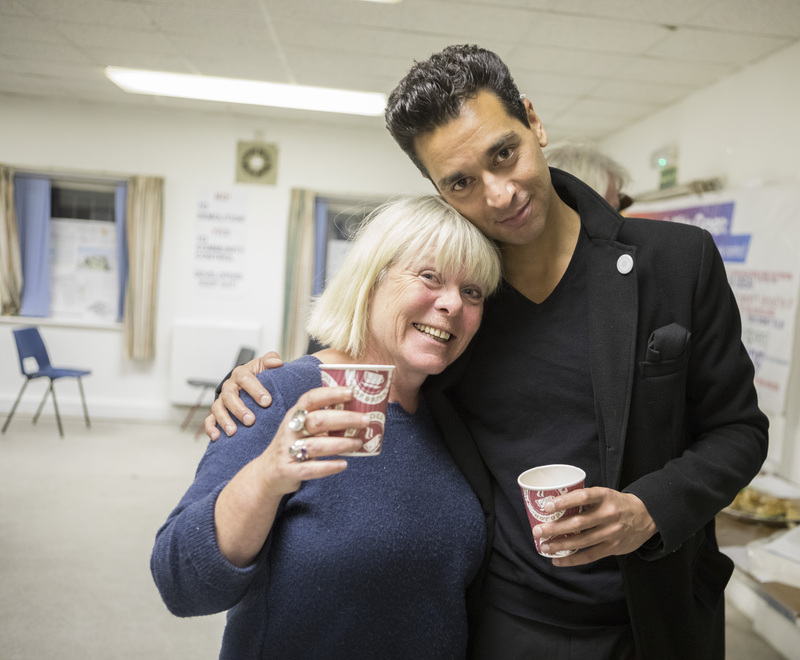 Ana-Maria thanked the campaign for helping to stop the demolition and urged people to put a stop to the redevelopment by continuing to work together as the amazing, supportive and loving community that we are. In recognition of his long service to the Board, the Chair, Keith Drew, presented Dr Chris Taylor with a calligraphic memorial created by Harold Greatwood. 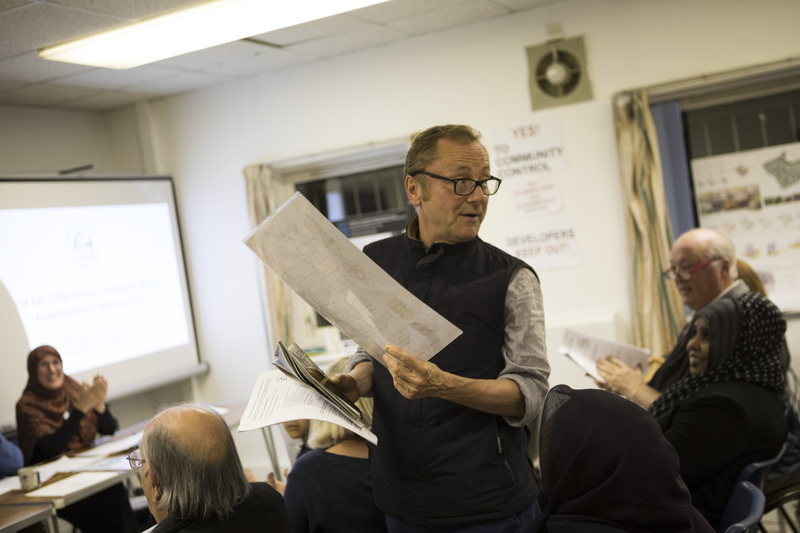 We have been engaging with the plans for the wider area including working with University College London Bartlett School of Planning to devise new masterplans, and by promoting alternatives to the demolition of Empress Place and the Lillie Road shops. 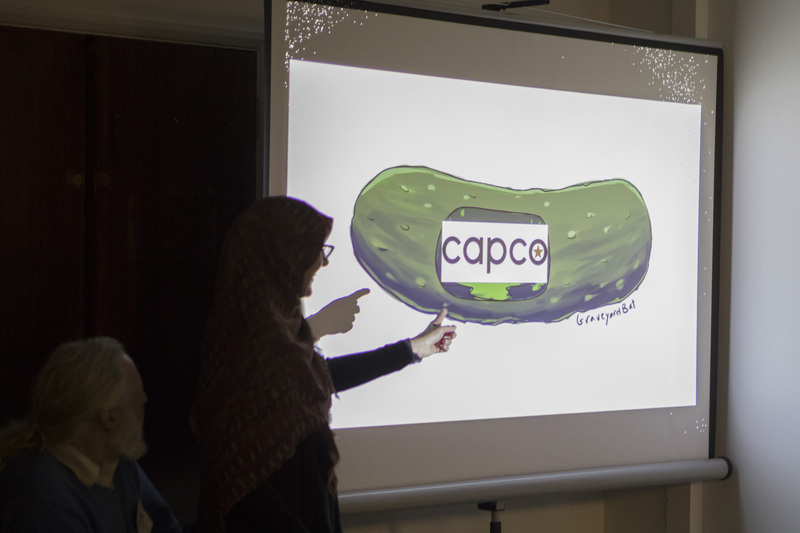 Linda explained that since the last AGM, Capco has made zero progress with its plans to destroy our estates and that, with the market and the politics against them, Capco was now in a pickle. Treasurer, Harold Greatwood, presented the WKGGCH accounts. He reported that we have raised significant sums of money from four charities and trusts, sufficient to fund us for the next three years, which means our campaign is on a secure financial footing for the foreseeable future. The Community Organiser read out a message from Andy Slaughter MP, who apologised for not being able to attend this year. Andy reported on the new approach to so-called regeneration adopted by the Labour Party. In future, demolition of council estates will require the approval of residents through a ballot. Andy congratulated the residents for their struggle to save homes and communities, but noted that it was now ten years since the then Conservative Council first conspired with Capco to destroy their homes. He felt that events were moving our way and he promised to redouble his efforts to secure everyone’s future. 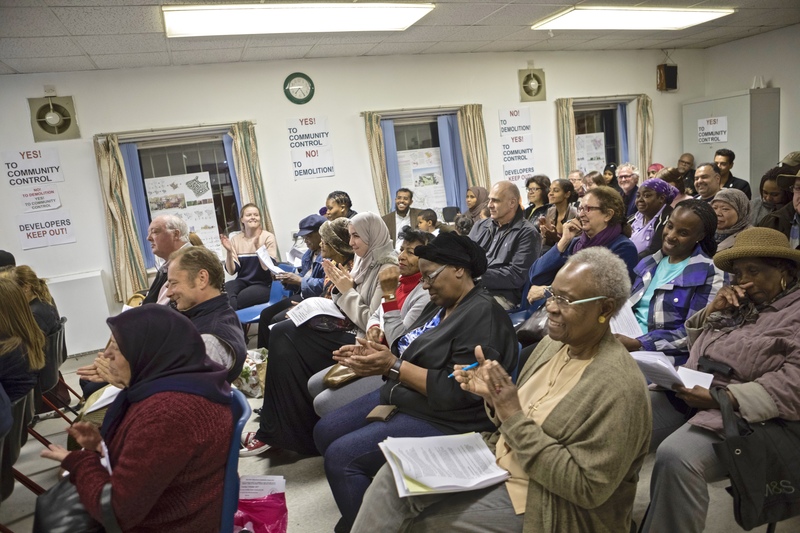 In his concluding speech, the Community Organiser explained the significance of Capco pulling back from the demolition of Empress Place and the Lillie Road shops in favour of refurbishment, albeit on a temporary basis. Capco is cleaning up the site as part of an effort to exit the scheme, but if Capco really wanted to sell, it would have to hand back the estates. Jonathan called on residents never to give up, to stand by their neighbours, and to march on as one to victory.